For a memorable and high-quality patio cushion, foam is pretty much the only way to go. There are both aesthetic and practical reasons for this. Aesthetically, foam can be cut into a large range of custom shapes and in any size, which will allow you to comfortably outfit even the strangest set of new-age furniture. A custom cushion can also be layered into any density, and you can buy different types of foam depending on how often you plan on using your furniture or just how soft you need it to be. Whether it’s for window seats, couches, mattresses, or regular deck chairs, foam has you covered in terms of style and pleasure. Practically speaking, foam is clearly your best option for true outdoor furniture. Being completely synthetic, foam resists harsh weather conditions much better than traditional cushions. Whether it’s constant exposure to direct sunlight, a humid environment, a long rainy season, or even wild Midwestern shifts from freezing to blazing temperatures in the same day, foam can endure for years. 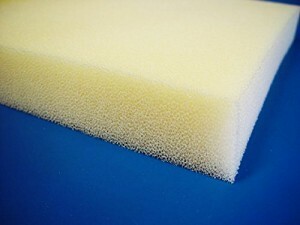 Another option is Dryfast foam, which is specially made for outdoor and marine cushions. Foam already drains of water and evaporates moisture quickly, but Dryfast foam does it even better, which means less work on your end and fewer mildew smells to turn away your guests. Whether you’re only now entering the world of proud deck furniture ownership, or if you inherited your parents’ old and moldy patio and need foam replacement, you’ll be in good hands. Bio: The Foam Factory, Inc. sells everything from furniture foam to acoustical foam. Visit The Foam Factory, Inc. online for more information.